General Carneiro station which belonged to Minas and Rio railway. Minas Gerais province, Brazil, c.1884. Available at Wikimedia Commons. Latin America was considered a ‘land of opportunity’ between 1870 and 1930. During that period 13 million Europeans migrated to this region. However, the experiences of Latin American countries are not fully incorporated into current debates concerning the age of mass migration. The main objective of my article, ‘The age of mass migration in Latin America’, is to rethink the role of European migration to the region in the light of new research. It addresses several major questions suggested by the economic literature on migration: whether immigrants were positively selected from their sending countries, how immigrants assimilated into host economies, the role of immigration policies, and the long-run effects of European immigration on Latin America. Immigrants overwhelmingly originated from the economically backward areas of southern Europe. Traditional interpretations have tended to extrapolate the economic backwardness of Italy, Spain, and Portugal (measured in terms of per capita GDP and relative to advanced European countries) to emigration flows. Yet, judging by literacy levels, migrants to Latin America from southern European countries were positively selected. Immigrants to Latin America from Spain, Italy and Portugal were drawn from the northern regions which had higher levels of literacy. There were very few immigrants to Latin America from the southern regions of these countries. . When immigrant literacy is compared with that of potential emigrants from regions of high emigration, positive selection appears quite clear. One proxy often used to signal positive self-selection is upward mobility within and across generations. Recent empirical research shows that it was the possibility of rapid social upgrading that made Argentina attractive to immigrants. First-generation immigrants experienced faster occupational upgrading than natives; upward occupational mobility occurred for a large proportion of those who declared unskilled occupations on arrival. Immigrants to Argentina experienced a very fast growth in occupational earnings (6 per cent faster than natives) between 1869 and 1895. For the city of Buenos Aires in 1895, new evidence shows that Italian and Spanish males received, on average, 80 per cent of average native-born earnings. In some categories, such as crafts and services, immigrants obtained higher wages than natives. These findings provide an economic rationale why some Europeans chose Argentina over the US, despite a smaller wage differential between originating country and destination. Immigrants appear to have adjusted successfully to Latin American labour markets. This is evidenced by access to property and in the large ownership of businesses. Almost all European communities experienced strong and fast upward social mobility in the destination countries. Whether this was because of positive selection at home or because of the relatively low skill levels in the host societies is still an open question. European immigrants to Latin America had higher levels of literacy than the native population. Despite non-selective immigration policies, Latin American countries received immigrants with higher levels of human capital compared to natives. Linking immigrants’ human capital to long run economic and educational outcomes has been the focus of recent research for Brazil and Argentina. The impact of immigration in those areas with higher shares of Europeans appears to be important since immigrants demanded and created schools (public or private). New research presents evidence of path dependency linking past immigrants’ human capital with present outcomes in economic development in the region. Immigration policies in Latin America raised few barriers to European immigration. However, the political economy of immigration policy of Argentina shows a more complicated story than the classic representation of landowners constantly supporting an open-door policy. Brazil developed a long-lasting programme of subsidized immigration. The expected income of immigrants to São Paulo was augmented by prospective savings, a guaranteed job on arrival, and the subsidized transportation cost. Going to Brazil was perceived as a good investment in southern Europe. Transport subsidies and the peculiarities of the colono contract in the coffee areas seem more important explanations than real wage differentials for understanding how Brazil competed for workers in the international labour market. The Lewis model merits further investigation for two main reasons. First, labour supply increased faster than the number of workers needed for the coffee expansion because of subsidies and, second, labour markets in São Paulo were segmented. European immigrants supplied only a fraction (though a substantial one) of the total labour force needed for the coffee plantations. The internal supply of workers became increasingly important and must be included in the total labour supply. Recent literature shows that researchers are either identifying new quantitative evidence or exploiting existing data in new ways. Consequently, new research is providing answers and posing questions to show that Latin America has much to add to debates on the economic and social impact of historical immigration. The gender division of labour in early modern England: why study women’s work? Interior with an Old Woman at the Spinning Wheel. Available at Wikimedia Commons. Here are ten reasons to know more about women’s work and read our article on ‘The gender division of labour in early modern England’. We have collected evidence about work tasks in order to quantify the differences between women’s and men’s work in the period from 1500-1700. This research allows us to dispel some common misconceptions. Men did most of the work didn’t they? This is unlikely, when both paid and unpaid work are counted, modern time-use studies show that women do the majority of work – 55% of rural areas of developing countries and 51% in modern industrial countries (UN Human Development report 1995). There is no reason why the pattern would have been markedly different in preindustrial England. But we know about occupational structure in the past don’t we? Documents from the medieval period onwards describe men by their occupations, but women by their marital status. As a result we know quite a lot about male occupations but very little about women’s. But women worked in households headed by their father, husband or employer. Surely, if we know what these men did, then we know what women were doing too? Recent research undertaken by Amy Erickson, Alex Shepard and Jane Whittle shows that married women often had different occupations from their husbands. If we do not know what women did, we are missing an important part of the economy. But we have evidence of women working for wages. It shows that around 20% of agricultural workers were women, surely this demonstrates that women’s work wasn’t as important as men’s in the wider economy? This evidence only relates to labourers paid by the day, and before 1700 most agricultural labour was not carried out by day labourers, so this isn’t a very good measure. Our article shows that women carried out a third of agricultural work tasks, not 20%. But women mostly did domestic stuff – cooking, housework and childcare – didn’t they, and that type of work doesn’t change much across history? Women did do most cooking, housework and childcare, but our research suggests it did not take up the majority of their working time. These forms of work did change markedly over time. A third of early modern housework took place outside, and our data suggests the majority was done for other households, not as unpaid work for one’s own family. But women only worked in a narrow range occupations, didn’t they? Our research shows that women worked in all the major sectors of the economy, but often doing slightly different tasks from men. They undertook a third of work tasks in agriculture, around half of the work in everyday commerce and almost two thirds of work tasks in textile production. But women also did forms of work we might not expect, such as shearing sheep, dealing in second-hand iron, and droving cattle. Women’s work was all low skilled wasn’t it? Women very rarely benefitted from formal apprenticeship in the way that men did, but that does not mean the tasks they undertook were unskilled. Women undertook many tasks, such as making lace and providing medical care, which required a great deal of skill. But this was all in the past, what relevance does it have now? Many gendered patterns of work are remarkably persistent over time. Analysis by the Office of National Statistics states that one third of the gender pay gap in modern Britain can be explained by men and women working in different occupations, and by the lower rates of pay for part-time work, which is more commonly undertaken by women than men. So nothing ever changes …? Well, not necessarily. In fact looking carefully at patterns of women’s work in the past shows some noticeably shifts over time. For instance, women worked as tailors and weavers in the medieval period and in the eighteenth century, but not in the sixteenth century. But we know why women work differently from men, particularly in preindustrial societies – isn’t it because they are less physically strong and all the child-bearing stuff? Physical strength does not explain why women did some physically taxing forms of work and not others (why they walked for miles carrying heavy loads on their heads rather than driving carts). And not all women were married or had children. Neither physical strength nor child-bearing can explain why women were excluded from tailoring between 1500 and 1650, but worked successfully and skilfully in this and other closely related crafts in other periods. We now have data which allows us to look more carefully at these issues, but there is still much more to uncover. In his seventh-century Etymology Isidore of Seville wrote ‘bees originate from oxen, just as hornets come from horses, drone bees from mules, and wasps from asses’, reflecting the belief that bees were the tiniest of birds, which sprang spontaneously from the putrefying flesh of cows. Such ideas were not new to the Middle Ages, and had been common from Antiquity, when Pliny the Elder commented that dead bees could be brought back to life if covered with mud and bovine carcass. Yet despite this peculiar (to modern eyes) belief, medieval people were in fact keen observers of the natural world. They knew that there was a larger bee which was especially important—although they thought this was a king, rather than a queen—which the other bees protected, even to the death. They knew that bees lived in well-ordered communities, where every bee had a particular task which it dutifully carried out. They especially emphasized worker bees, which went out tirelessly collecting dew, from which they thought honey came, and flowers, which they thought turned to wax. But they observed no mating in bee colonies, and the implications of this were profound. Medieval theologians associated the virginity and chastity of bees with the two figures whose virginity and chastity were central to the Christian faith: Christ and Mary. This religious symbolism had a singularly important practical consequence, for it meant that beeswax candles were required for observance of the ritual of the Mass. Over the high and late middle ages Christian religious practice became increasingly elaborate, with a greater number of services celebrated at an expanding number of cathedrals, churches, chapels, chantries and shrines. All of these required wax candles. Candles also burned on the rood screens and before each image, shrine, and many tombs in every church in Europe. Every stage of a medieval Christian’s life, from the baptismal font to the grave, was accompanied by candles. The imagery of light and dark, fundamental to Christian devotion, was reliant on the supply of vast quantities of beeswax for candles and torches. The cost of provisioning religious institutions with lights was significant. In England wax accounted for on average half of the total running cost of the main chapel of major religious institutions and, apart from the fabric and bells, was the most expensive single item in parish churches. The need for wax across medieval Europe was continuous and persistent, yet the extent and significance of the production, trade, and consumption of wax has yet to be fully considered. Where did this beeswax come from? Although demand for wax was high across Europe, production itself was unevenly spread. In northern and central Europe high medieval urbanization and settlement expansion came at the expense of favourable bee habitats. This meant that the areas with the greatest need for wax were under intense pressure to meet demand through local production. These regions were therefore especially attractive to merchants bringing wax from the Baltic hinterland, where large-scale sylvan wax production took place in forests which had not been felled to make room for arable fields. This high-quality wax became an important feature of Hanseatic trade, and a brisk westward trade brought this wax ‘de Polane’ to England and Bruges where eager buyers were readily found. Yet even this thriving international trade was not enough to meet the demand for wax from the c.9,000 parish churches which existed in England by the early fourteenth century. Comparing the total amount of wax needed for basic religious observance with wax imports suggests that foreign wax accounted for only a fifth of the amount of wax needed in England before 1475. The remaining wax must have been the product of hundreds of thousands of skeps kept by small domestic producers. This local beekeeping is almost invisible in manorial documents, and it is only by considering the total demand for wax that the importance of beekeeping within the peasant economy becomes apparent. What emerges, then, is a dual economy for wax. Wealthy religious institutions attracted merchants bringing high-quality Baltic wax in great quantities, demonstrating that geographically peripheral areas were not only vital to European trade, but that the cultural practices of high and late medieval society were dependent on these regions. At the same time, small producers found ready markets for the product of their hives in their local parish churches, supplying much-needed injections of income within the household economy. Bees and bee products held a uniquely important place in medieval culture, and consequently in the medieval economy. In these tiny golden creatures medieval people saw something flung from Paradise, imbued with mystical qualities and powerfully symbolic. Today, as we face climate change, habitat destruction and the decline of bee colonies, we might do well to look at the natural world with something of the same wonder. This research is being expanded in the Leverhulme project ‘Bees in the medieval world: Economic, environmental and cultural perspectives’, which will also explore the Mediterranean trade in beeswax and consider encounters between the Christian and Muslim worlds. Late sixteenth- and early seventeenth-century England was one of the most litigious societies on record. If much of this litigation was occasioned by debt disputes, a sizeable proportion involved gentlemen suing each other in an effort to secure claims to landed property. In this genre of suits, gentlemen not infrequently enlisted their social inferiors and subordinates to testify on their behalf. These labouring witnesses were usually qualified to comment on the matter at hand a result of their employment histories. When they deposed, they might recount their knowledge of the boundaries of some land, of a deed or the like. In the course of doing so, they might also comment on all sorts of quotidian affairs. Because testifying enabled illiterate and otherwise anonymous people to speak on-record about all sorts of issues, historians have rightly regarded depositions as a singularly valuable source: for all their limitations, they offer us access to worlds that would otherwise be lost. But we don’t know much about what labouring people thought about the prospect of testifying for (and against) their superiors, or how they came to testify in the first place. Did they think that it presented an opportunity to assert themselves? Did it – as some contemporary legal commentators claimed – provide them with an opportunity to make a bit of money on the side by ‘selling’ dubious evidence to their litigious superiors? Or were they reluctant to depose in such circumstances and, if so, why? Where subordinated individuals deposed for their ‘betters’, what was the relationship between the ‘pull’ of economic reward and the ‘push’ of extra-economic coercion? I wrote an article that considers these questions. It doesn’t have any tables or graphs; the issues with which it’s concerned don’t readily lend themselves to quantification. Rather, this piece tries to think about how members of the labouring population conceived of the possibilities that were afforded to and the constraints that were imposed upon them by dint of their socio-economic position. In order to reconstruct these areas of popular thought, I read loads of late sixteenth- and early seventeenth-century suits from the court of Star Chamber. In these cases, labouring witnesses who had deposed for one superior against another were subsequently sued for perjury (this was typically done in an effort to have a verdict that they had helped to secure overturned). Allegations against these witnesses got traction because it was widely assumed that people who worked for their livings were poor and, as a result, would lie under oath for anyone who would pay them for doing so. Where these suits advanced to the deposition-taking phase, labouring witnesses who were accused of swearing falsely under oath and witnesses of comparable social position provided accounts of their relationship with the litigious superiors in question, or commentaries on the perceived risks and benefits of giving evidence. They discussed the economic dispensations (or the promise thereof) which they had been given, or the coercion which had been used to extract their testimony. Taken in aggregate, this evidence suggests that members of the labouring population had a keen sense of the politics of testimony. In a dynamic and exacting economy such as that of late sixteenth- and early seventeenth-century England, where labouring people’s material prospects were irrevocably linked to their reputation and ‘honesty,’ deposing could be risky. Members of the labouring population were aware of this, and many were hesitant to depose at all. Their reluctance may well have been born of an awareness that doubt was likely to be cast upon their testimony as a result of their subordinated and dependent social position, which lent credibility to accusations that they had sworn falsely for gain. More immediately, it reflected concerns about the material reprecussions that they feared would follow from commenting on the affairs of their ‘betters.’ Such projections were not merely the stuff of paranoid speculation. In 1601, a carpenter from Buckinghamshire called Christopher Badger had put his mark to a statement defending a gentleman, Arthur Wright, who had frustrated efforts to impose a stinting arrangement on the common to, as many locals claimed, the ‘damadge of the poorer sorte and to the comoditie of the riche.’ Badger recalled that one of Wright’s opponents – also a gentleman – later approached him and said ‘You have had my worke and the woorke of divers’ other pro-stinting individuals. To discourage Badger from further involvement, he added a thinly veiled threat: ‘This might be an occasion that you maie have lesse worke then heretofore you have had.’ For members of the labouring population, material circumstance often militated against opening their mouths. But there was an irony to the politics of testimony, which was not lost on common people. If material conditions made some prospective witnesses reluctant to depose, they all but compelled others to do so (even when they expressed reservations). In some instances, labouring people’s poverty rendered the rewards – a bit of coal, a cow, promises of work that was not dictated by the vagaries of seasonal employment, or nebulous offers of a life freed from want – that they were promised (and less often given) in return for their testimony compelling. In others, the dependency, subordination and obligation that characterized their relations with their superiors necessitated that they speak as required, or face the consequences. In the face of such pressures, a given individual’s reservations about testifying were all but irrelevant. For debt and debt-related litigation, see Craig Muldrew, The Economy of Obligation: The Culture of Credit and Social Relations in Early Modern England (Basingstoke, 1998). For suspicions surrounding the testimony of poor and/or labouring witnesses, see Alexandra Shepard, Accounting for Oneself: Worth, Status, and the Social Order in Early Modern England (Oxford, 2015). Abstract: Why are international financial institutions important? 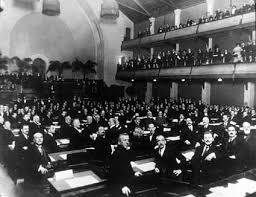 This article reassesses the role of the loans issued with the support of the League of Nations. These long-term loans constituted the financial basis of the League’s strategy to restore the productive basis of countries in central and eastern Europe in the aftermath of the First World War. In this article, it is argued that the League’s loans accomplished the task for which they were conceived because they allowed countries in financial distress to access capital markets. The League adopted an innovative system of funds management and monitoring that ensured the compliance of borrowing countries with its programmes. Empirical evidence is provided to show that financial markets had a positive view of the League’s role as an external, multilateral agent, solving the credibility problem of borrowing countries and allowing them to engage in economic and institutional reforms. This success was achieved despite the League’s own lack of lending resources. It is also demonstrated that this multilateral solution performed better than the bilateral arrangements adopted by other governments in eastern Europe because of its lower borrowing and transaction costs. Flores and Decorzant’s paper deals with the achievements of the League of Nations in helping some central and Eastern European sovereign states to secure market access during in the Interwar years. Its success is assessed by measuring the financial performance of the loans of those countries and is compared with the performance of the loans issued by a control group made of countries of the same region that did not received the League’s support. The comparison of the yield at issue and fees paid to issuing banks allows the authors to conclude that the League of Nations did a very good job in helping those countries, hence the suggestion in the title to go multilateral. The authors argue that the loans sponsored by the League of Nation – League’s loan thereafter – solved a commitment issue for borrowing governments, which consisted in the non-credibility when trying to signal their willingness to repay. The authors mention that the League brought financial expertise related to the planning of the loan issuance and in the negotiations of the clauses of contracts, suggesting that those countries lacked the human capital in their Treasuries and central banks. They also describe that the League support went with a monitoring of the stabilization program by a special League envoy. Empirical results show that League loans led to a reduction of countries’ risk premium, thus allowing relaxing the borrowing constraint, and sometimes reduced quantity rationing for countries that were unable to issue directly through prestigious private bankers. Yet the interests rates of League loans were much higher than those of comparable US bond of the same rating, suggesting that the League did not create a free lunch. Besides those important points, the paper is important by dealing with a major post war macro financial management issue: the organization of sovereign loans issuance to failed states since their technical administrative apparatus were too impoverished by the war to be able to provide basic peacetime functions such as a stable exchange rate, a fiscal policy with able tax collection. Comparison is made of the League’s loans with those of the IMF, but the situation also echoes the unilateral post WW 2 US Marshall plan. The paper does not study whether the League succeeded in channeling some other private funds to those countries on top of the proceeds of the League loans and does not study how the funds were used to stabilize the situation. The paper belongs to the recent economic history tradition that aims at deciphering the explanations for sovereign debt repayment away from the gunboat diplomacy explanation, to which Juan Flores had previously contributed together with Marc Flandreau. It is also inspired by the issue of institutional fixes used to signal and enforce credible commitment, suggesting that multilateral foreign fixes solved this problem. This detailed study of financial conditions of League loans adds stimulating knowledge to our knowledge of post WW1 stabilization plans, adding on Sargent (1984) and Santaella (1993). It’s also a very nice complement to the couple of papers on multilateral lending to sovereign states by Tunker and Esteves (2016a, 2016b) that deal with 19th century style multilateralism, when the main European powers guaranteed loans to help a few states secured market access, but without any founding of an international organization. 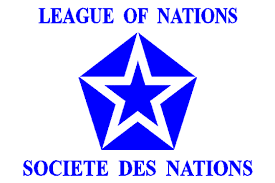 But the main contribution of the paper, somewhat clouded by the comparison with the IMF, is to lead to a questioning of the functions fulfilled by the League of Nations in the Interwar political system. This bigger issue surfaced at two critical moments. First in the choice of the control group that focus on the sole Central and Eastern European countries, but does not include Germany and France despite that they both received external funding to stabilize their financial situation at the exact moment of the League’s loans. This brings a second issue, one of self-selection of countries into the League’s loans program. Indeed, Germany and France chose to not participate to the League’s scheme despite the fact that they both needed a similar type of funding to stabilize their macro situation. The fact that they did not apply for financial assistance means either that they have the qualified staff and the state apparatus to signal their commitment to repay, or that the League’s loan came with too harsh a monitoring and external constraint on financial policy. It is as if the conditions attached with League’ loans self-selected the good-enough failed states (new states created out of the demise of the Austro-Hungarian Empire) but discouraged more powerful states to apply to the League’ assistance. Now if one reminds that the promise of the League of Nations was the preservation of peace, the success of the League loans issuance was meager compared to the failure in preserving Europe from a second major war. This of course echoes the previous research of Juan Flores with Marc Flandreau on the role of financial market microstructure in keeping the world in peace during the 19th century. By comparison, the League of Nations failed. Yet a successful League, which would have emulated Rothschild’s 19th century role in peace-keeping would have designed a scheme in which all states in need -France and Germany included – would have borrowed through it. 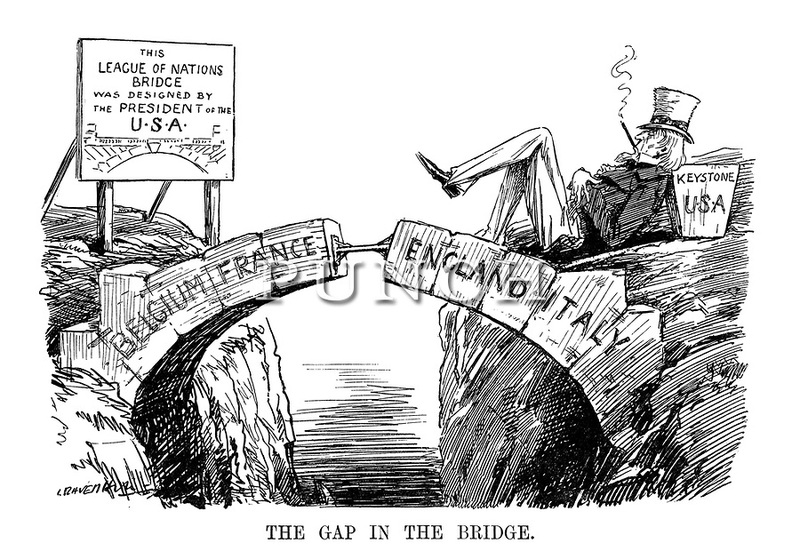 In sum the paper opens new connections with the political science literature on important historical issues dealing with the design of international organization able to provide public goods such as peace and not just helping the (strategic) failed states. Esteves, R. and Tuner, C. (2016a) “Feeling the blues. Moral hazard and debt dilution in eurobonds before 1914”, Journal of International Money and Finance 65, pp. 46-68. Esteves, R. and Tuner, C. (2016b) “Eurobonds past and present: A comparative review on debt mutualization in Europe”, Review of Law & Economics (forthcoming). Flandreau, M. and Flores, J. (2012) “The peaceful conspiracy: Bond markets and international relations during the Pax Britannica”, International Organization, 66, pp. 211-41.